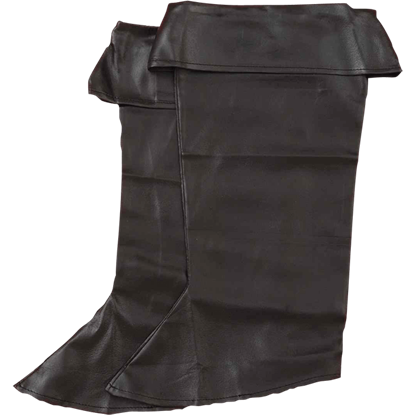 Practical footwear is a must-have for any space-faring Jedi when battling against the forces of evil in the galaxy. 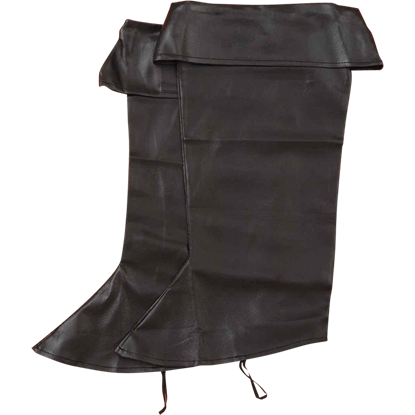 The Anakin Skywalker Costume Boots are ideal for getting the look of a certain powerful force-wielder as a young man. Whenever you are running for your lives from the shambling undead hordes, you do not always have time to dress a wound. Sometimes, you wind up with something like the Bloody Leg Bandages, a makeshift wrap that is covered in blood. 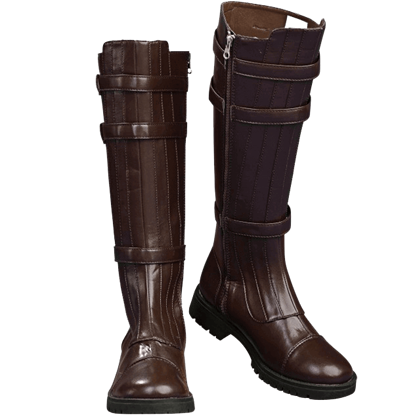 Luckily, you will not have to go through much hassle to make your feet look bony and skeletal. In fact, flesh-stripping will not be involved when you put on the Bone Colored Skeleton Cover Feet to transform your toes into bare-bones. 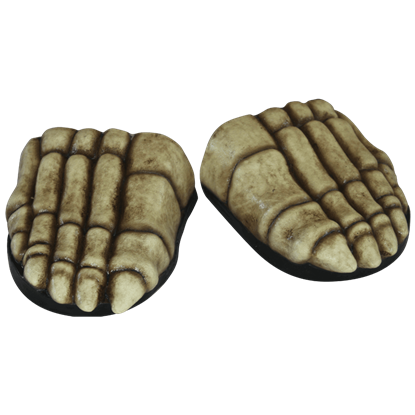 You will be a true bone-walker with these skeletal shoe covers on your feet! 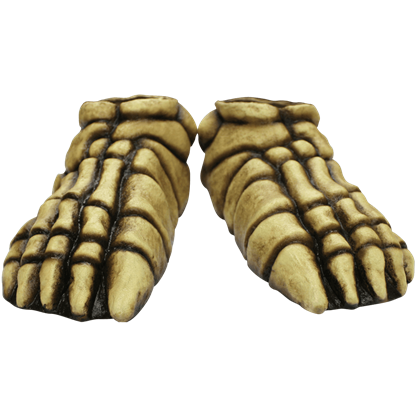 The Bone-Colored Skeleton Costume Feet have been crafted to resemble a pair of bony feet, perfect for grim reapers, zombies, or classic skeletons. Turning into a wolf is no easy feat. And without lycanthropy, it is even harder! 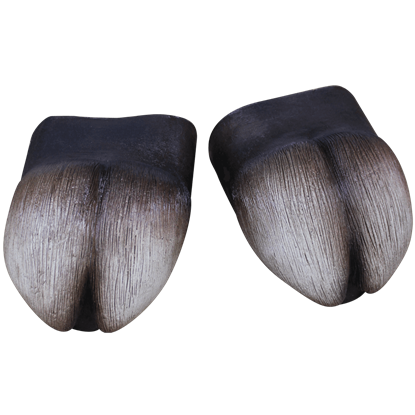 Luckily, you can avoid the hassle by adding these Deluxe Werewolf Foot Covers to your bag of tricks. They will give you wolf claws when you need them. 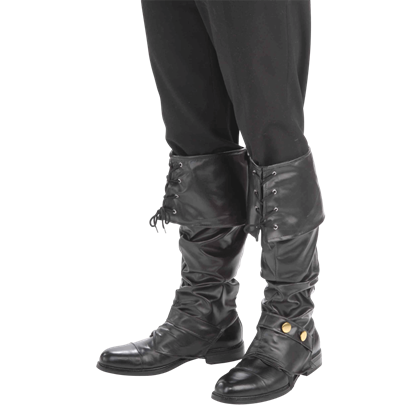 Nothing compliments a good fantasy costume like a pair of pointed shoes! 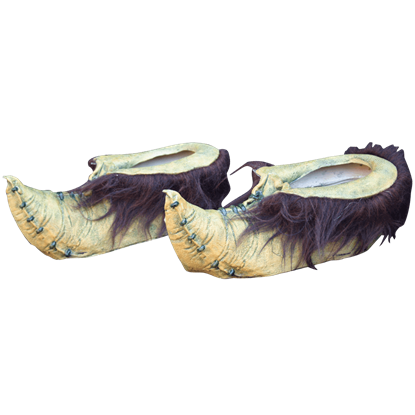 They might be green Goblin Shoes by name, but in reality, these shoes are a great compliment to several looks, ranging from elves to fairies and even demons! Surprisingly, these cloven hooves are a lot more versatile than many would think. 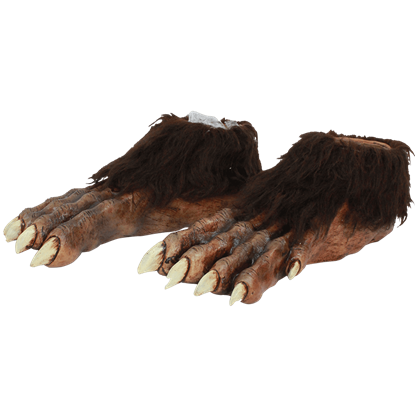 That is because these Hooves Cover Feet actually blend well with a variety of costumes, ranging from the truly fiendish to the mystical and the mythical. The best costumes are cohesive from head to toe. 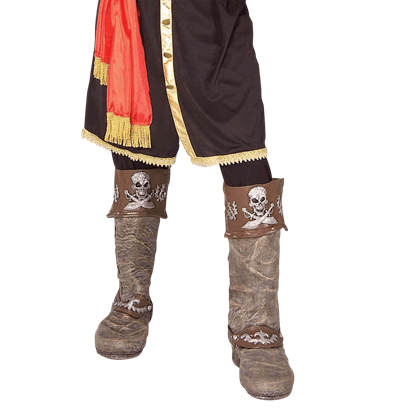 Now with these Knee-High Mismatched Pirate Socks, your feet wont feel left out in the cold. One sock is black and white striped while the other features a wood-grain peg leg pattern.